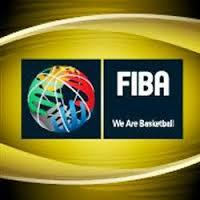 The interpretations presented in this document are the FIBA Official Interpretations of the FIBA Official Basketball Rules 2012 and are effective as of 1st October 2012. Where the interpretations in this document differ from previously published FIBA Official Interpretations, this document shall take precedence. The FIBA Official Basketball Rules are approved by the FIBA Central Board and are periodically revised by the FIBA Technical Commission. The rules are kept as clear and comprehensive as possible, but they express principles rather than play situations. They cannot, however, cover the rich variety of specific cases that could happen during a basketball game. specific situations as they might arise during a normal basketball game. The interpretations of the different situations can stimulate the officials’ minds and will complement an initial detailed study of the rules themselves. not specifically covered in the rulebook or in the following FIBA Official Interpretations.